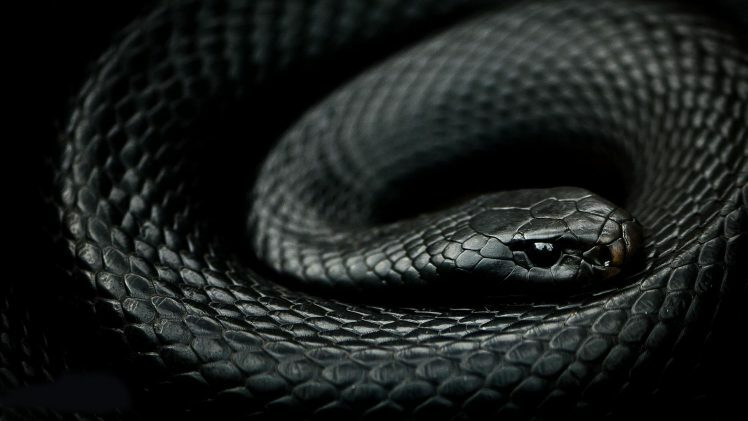 The black mamba (Dendroaspis polylepis) is a highly venomous snake endemic to parts of sub-Saharan Africa. Skin colour varies from grey to dark brown. Juvenile black mambas tend to be paler than adults and darken with age. It is the longest species of venomous snake indigenous to the African continent; mature specimens generally exceed 2 meters (6.6 ft) and commonly attain 3 meters (9.8 ft). Specimens of 4.3 to 4.5 meters (14.1 to 14.8 ft) have been reported. Although most mamba species are tree-dwelling snakes, the black mamba is not generally arboreal, preferring lairs in terrestrial habitats in a range of terrains. These include savannah, woodlands, rocky slopes and, in some regions, dense forest. It is diurnal and chiefly an ambush predator, known to prey on hyrax, bushbabies and other small mammals, as well as birds. It is also a pursuit predator; in this it resembles other long, speedy, highly venomous species with well-developed vision. Over suitable surfaces it is possibly the fastest species of snake, capable of at least 11 km/h (6.8 mph) over short distances. Adult mambas have few natural predators. In a threat display, the mamba usually opens its inky-black mouth, spreads its narrow neck-flap and sometimes hisses. It is capable of striking at considerable range and may occasionally deliver a series of bites in rapid succession. Its venom is primarily composed of potent neurotoxins that may cause a fast onset of symptoms. Despite its reputation as formidable and highly aggressive, it usually attempts to flee from humans unless threatened or cornered. The black mamba is rated as least concern on the International Union for Conservation of Nature (IUCN)'s Red List of Endangered species. It is an elapid within the genus Dendroaspis. Although it had been known to missionaries and residents, before 1860, by the name "mamba", which was already established in the vernacular and taken from the Zulu word "imamba", the first formal description was made by German-British zoologist Albert Günther in 1864. A single specimen was one of many snake species collected by Dr John Kirk, a naturalist who accompanied Dr David Livingstone on the Second Zambesi expedition. In 1873, German naturalist Wilhelm Peters described Dendraspis Antinorii from a specimen in the museum of Genoa, which had been killed by Orazio Antinori in what is now northern Eritrea. This was subsequently regarded as a subspecies, and is no longer held to be distinct. In 1896, George Albert Boulenger combined the species (Dendroaspis polylepis) as a whole with the eastern green mamba (Dendroaspis angusticeps), a lumping diagnosis that remained in force until 1946, when FitzSimons split them again into separate species.